Two new documentaries take a hard look at the struggles of low-income and middle class families to access the basics—like food, housing, healthcare and education. Table’s stories will overwhelm too. Whether it’s the fifth grader who is so hungry that she envisions her teacher as a banana and her fellow students as apples, or the single mother of two who finally gets a fulltime job only to realize that she is no longer food stamp eligible, a loss of $3-per-day that puts her family into serious food insecurity. That means her kids no longer have breakfast or lunch at daycare, and her youngest is already developmentally disabled due to improper nutrition. Lest we think she’s living large off her new job, food stamp eligibility ended once her salary passed $23,000, a figure hardly sufficient to pay for rent, utilities, insurance and transport, let alone food. (Most Americans are surprised to learn that the parents of hungry children typically have fulltime jobs.) Those who think food stamps breed dependency are wrong. As a child, raised singly by my mom after my dad died early, I too depended on food stamps. For many of us, they are critical lifelines of support while we get back on our feet. So what’s the hang-up? Why is it so difficult to feed America’s future properly? When all expenses are accounted for, we spend roughly $1 per child per school meal. One wonders why President Barack Obama couldn’t get the $10 billion over ten years that he wanted to improve childhood nutrition in schools. (Contrast this with the $10 billion we spend monthly on our military in Afghanistan.) In fact, Obama was only able to get $4.5 billion allocated—improving by .06 cents what we spend on children’s lunches—and much of that was paid for by siphoning money from the food stamp program. The irony. The film’s producers hold lobbyists particularly culpable here. Congress, for example, had no problem doling out hundreds of billions to bail out big banks, expending hundreds of billions on tax cuts for the wealthy, or even subsidizing tens of billions to big corporate agribusinesses, which is what farms America’s soil these days (not the small farms that relied on federal assistance after the Depression destroyed America’s crops). And yet Congress claims to have insufficient funds—not even $10 billion over ten years—to bail out the millions of kids in this country who go malnourished every day. It’s shocking and deplorable. In 1980, we had 200 food banks. Now we have over 40,000 food banks, soup kitchens and pantries, and yet the problem persists. Our government thought charities could pick up the tab. While they’re certainly helping with critical lifeline support, they don’t have the kinds of resources necessary to take on a crisis of this magnitude—only the federal government does. 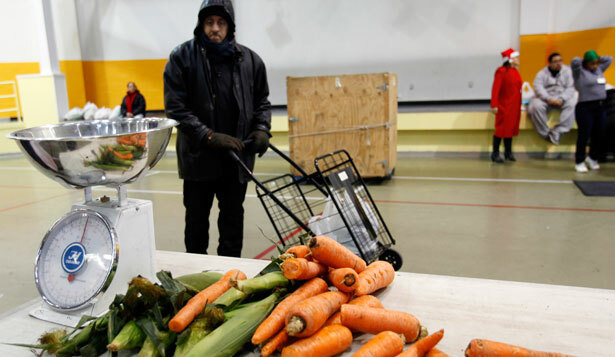 Here’s a big part of the problem: Fresh fruits and vegetables—largely unsubsidized in comparison to the heavily subsidized corn, wheat, soy, and rice crops—remain out of reach for much of America’s poor, both rural and urban. Since 1980, costs for fruits and vegetables increased by roughly 40 percent leaving financially struggling families with little choice when it comes to cheapest calories at the local mini-mart. Junk food is often all that’s affordable and accessible, with fresh food markets located many miles away. But beyond reforming the formidable lobby that prevents Congress from fixing kids’ nutrition in America, the film hints at what else is needed. 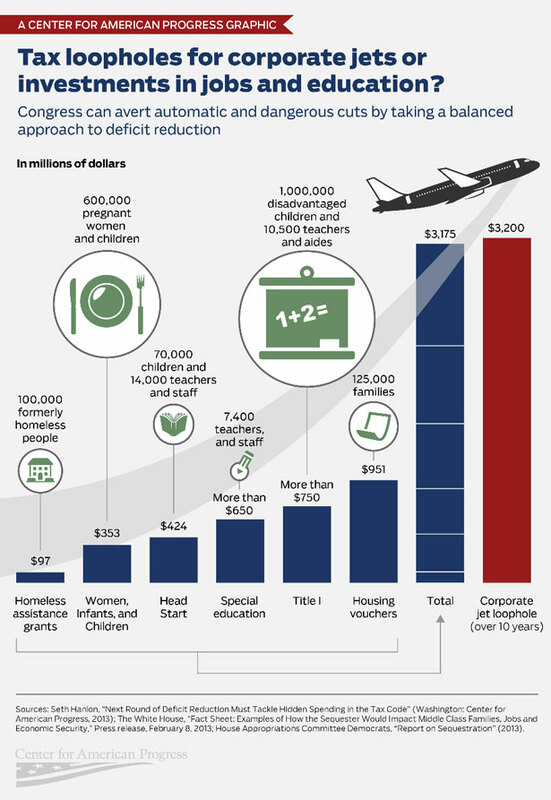 At the end of the day, even if we’re funding healthy meals for all Americans and feeding our kids properly, we haven’t fixed the root problem of poverty. While we’ve cut down on long-term healthcare costs—because a better fed population means lower rates of heart disease, diabetes and blood pressure, all of which will lower the taxpayer burden—a systemic flaw remains: if working American families aren’t afforded a livable wage, then we will forever be reacting to hunger, not preventing it. The first step is to ensure all Americans have access to affordable and healthy food, but the second and simultaneous step is to lift the 50 million Americans out of poverty and the 106 million Americans who live on less than twice the poverty line (less than $36,000 for a family of three). We can start by reversing trade trends, which undermined America’s working class through the outsourcing and offshoring of US manufacturing and the erosion of labor protections. We can also reinvigorate US labor policies, which failed to increase minimum wages for the majority of America. The minimum wage is worth less now—adjusted for inflation—than it was in 1968. Since the beginning of the Great Recession, I’ve been waiting for a documentary to make the case that low-income people and the middle class are now in the same boat—that old distinctions people created to divide them are obsolete, with so many people living near poverty, or an illness, lost job, or disaster away from poverty. A hundred and six million Americans, or more than one in three, now live below twice the poverty line—on less than $36,000 for a family of three, forced to make choices between basic necessities like food, housing, healthcare and education, and with little to no savings to help through tough times; wealth is increasingly concentrated, with the richest 1 percent now possessing 40 percent of the nation’s wealth. Certainly the numbers suggest a convergence of interests among the poor and non-rich. Now, finally, a movie has arrived that shows the precariousness of the US economy for the majority of Americans, refusing to distinguish between a deserving and non-deserving poor: American Winter. Filmed over the winter of 2011–12 in Portland, Oregon, the documentary tells the stories of eight families, showing the human costs of a frayed safety net and a proliferation of low-wage work. Emmy Award–winning filmmakers Joe and Harry Gantz, creators of HBO’s Taxicab Confessions, worked with the nonprofit organization 211info in Portland, monitoring calls from distressed families who were turning to the emergency hotline in search of help. They then followed the stories of some of these callers over many months. Most of these families never imagined they would be in the situation they suddenly find themselves in, needing support to get through a tough time, and finding that that support just isn’t there: a husband loses his job, he and his wife try to support their three kids on her minimum-wage work, losing heat and electricity in the dead of winter in order to pay the mortgage; a 50-year-old accountant is laid off and struggling to care for his 10-year-old son who has Down Syndrome, now faces the loss of his ranch and sole asset to provide for his son’s future; a husband loses his $22-per-hour job, and his wife and their two sons turn to a women’s shelter for assistance; a college-educated woman is laid off and so she sells scrap metal and donates plasma to help support her family of five—even after she finds minimum-wage work; a woman’s husband dies, and she and her 11-year-old son can’t keep their home—they sleep in a garage and in their car before ending up in a shelter; another mother has to take three months off of work to care for her daughter who is hospitalized with a stomach condition—she’s stuck with a $49,000 bill that insurance won’t cover. As we now begin sequester cuts that will further strain supports to working families and families that are unable to work, this is a timely movie, to say the least. You can find the details and RSVP for the event here. The Food Research and Action Center (FRAC) has awarded the Dr. Raymond Wheeler/ Senator Paul Wellstone Anti-Hunger Advocacy Leadership Award to Hunger Free Vermont. FRAC presents the award annually to an advocate who has demonstrated outstanding leadership in the fight against hunger. Hunger Free Vermont has made key contributions toward ending food insecurity among children, adults, and seniors in their state. Thanks in part to the work of this organization, Vermont is in the top ten states for participation among low-income children in school breakfast and summer meal programs, and is one of the best states for enrolling eligible citizens in the SNAP program. Hunger Free Vermont has also launched creative new initiatives such as an accredited online course for physicians, nurses and clinical staff to learn patient screening techniques for hunger and malnutrition. Hunger Free Vermont is now working with the Vermont legislature and Governor Peter Shumlin to make the state the first in the nation to offer free school meals to all low-income children. This week, Senator Tom Harkin and Representative George Miller introduced The Fair Minimum Wage Act of 2013 that would raise the federal minimum wage from the current rate of $7.25 to $10.10 per hour by 2015, and index it to keep pace with inflation. The bill would also raise the minimum wage for tipped workers from $2.13 per hour, where it has been frozen since 1991, to 70 percent of the full minimum wage. “Stacked Deck: How the Dominance of Politics by the Affluent & Business Undermines Economic Mobility in America,” Dēmos. As this report argues, economic equality faces an uphill battle: “Over recent decades, the wealthy have translated their wealth into political clout, and used that clout to increase their wealth—which in turn has further increased their ability to secure yet more special treatment through public policy.” The influence of the wealthy ranges from political contributions slanted toward regressive ends to higher voting rates and contact with elected representatives. Turning the tide, the report says, will take the kitchen sink: limiting, and making more transparent, money in politics; making voting easier and stamping out voter suppression; redefining corporate personhood; enacting a more progressive tax code; and strengthening workers’ power in the workplace. “Real People, Real Solutions in North Carolina,” NC Community Action Association. At 17.9 percent, North Carolina’s poverty rate sits two points above the national average. This report gives a textured profile of poverty across the state. The numbers paint a grim picture: 16 percent of the state lacks health insurance, 27 percent earns less than $25,000 and 21 percent of households are food insecure. Over half of households living in poverty are led by single women. In addition to providing comprehensive recommendations for different sectors—healthcare, employment, education, transportation and housing—the report proposes a number of state initiatives to mitigate the crisis: a bipartisan Poverty Eradication Council in the state legislature to ensure strategic and collaborative use of state funds; a Public Benefit Fund to relieve high energy costs; centralized management of funding from Community Service Block Grants and the Weatherization Assistance Program; and inclusion of the state’s 36 community action agencies in the state’s general fund, with anticipated returns of $16.90 on the dollar. “Occupational Projections for Direct-Care Workers, 2010-2020,” PHI. In an analysis of data released by the Bureau of Labor Statistics, this report projects an increase of 1.6 million new jobs in the direct-care workforce—that is, nursing aides, home health aides, and personal care aides—by 2020. This increase, hovering around 70 percent, would make it the largest job sector in the country. The rise in demand for home and community-based care is responsible for a large chunk of the overall projection: between 2010 and 2020, workers in these settings are expected to increase their share, vis-à-vis those in facility settings, from 61 to 68 percent. Over the same period, however, the main demographic of direct-care workers, women between the ages of 35-54, are only projected to enter the workforce at a 1 percent increase. How to close the gap? For one, increase the quality—and attractiveness—of these jobs through federal and state spending on decent wages, benefits and training.